If you want to travel in time to 1860s, Toronto’s premier outdoor living history museum Black Creek Pioneer Village is one of the best places to start. Visitors can explore 40 heritage homes, shops and buildings restored to re-create 19th century living with interpretations how villagers lived, worked, communicated, dressed and celebrated special days. 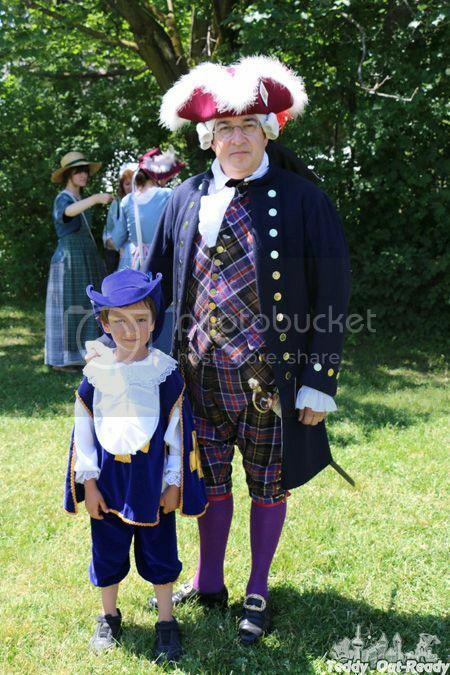 The Black Creek Pioneer Village also hosts special events through the year, and we had a chance to join some of them. 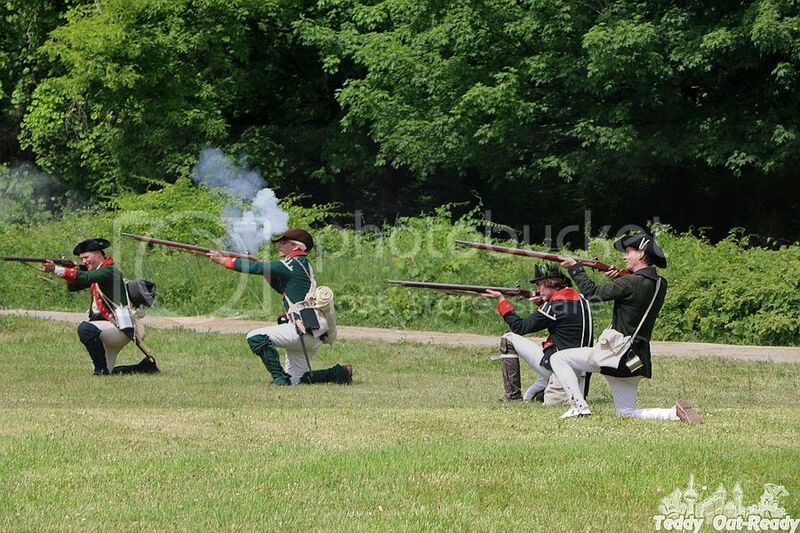 This year on Father’s Day weekend we visited The Village to be a part of spectacular event - the Battle of Black Creek - A Revolutionary War Re-enactment that place Loyalists against Patriots in a fight for control of the Village. The whole site was transformed into military camps with tents, soldiers, carts, inspiring speeches and demonstrations. 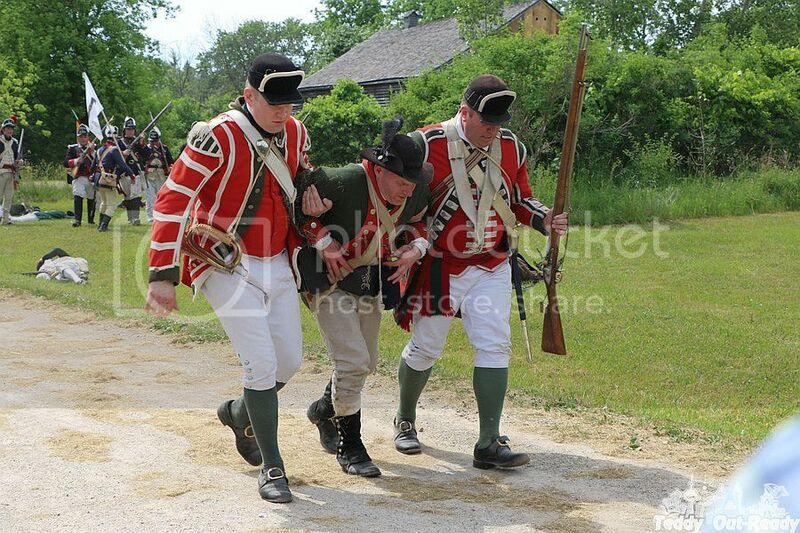 Visitors were invited to walk through the camps and learn about military time of 1770th when the war influenced and put a significant impact on lives of soldiers and their families including women, seniors and children. Scenes form the life and battles during the American Revolution were on-site to show what happened many years ago and how the actions influenced Canadian history. 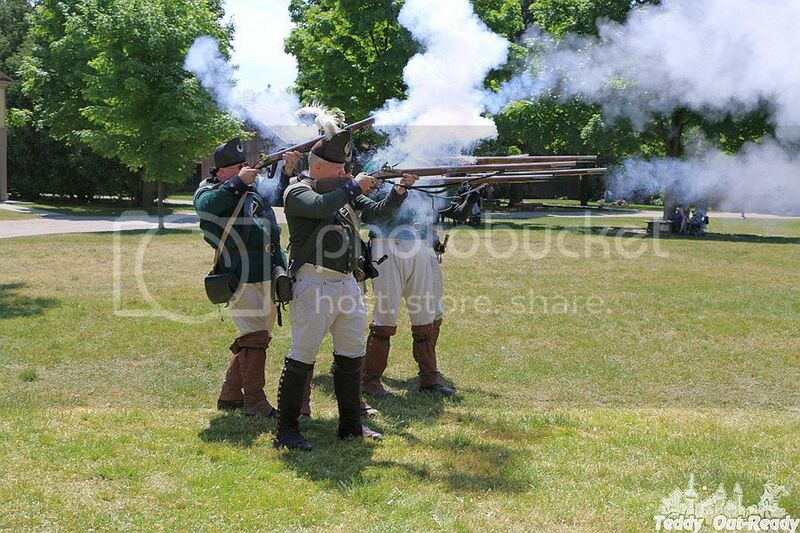 The public was presented what happened to Loyalists, refugees, Native Americans and everyone who were around that time to experience victories and losses, pain and joy. 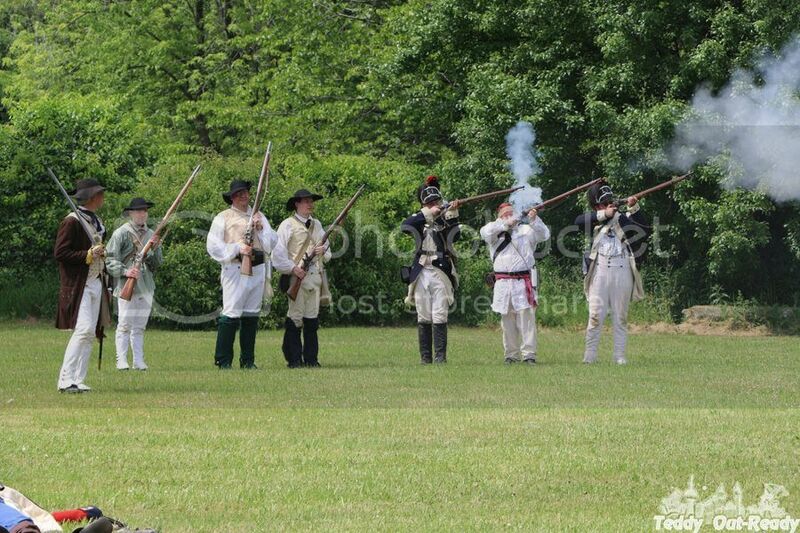 We had a chance to join musket demonstration to see how it works; it was very spectacular and loud by the way. 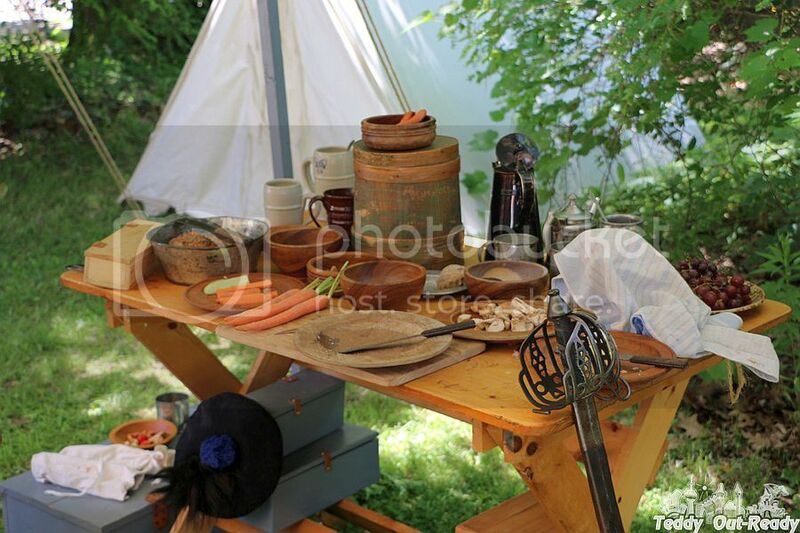 The weapons were not pretty much precise in 18th century and require lots of practice to use them. We also joined the Recruitment Tent to learn what was needed to join the army and how simple but difficult and dangerous military life was. 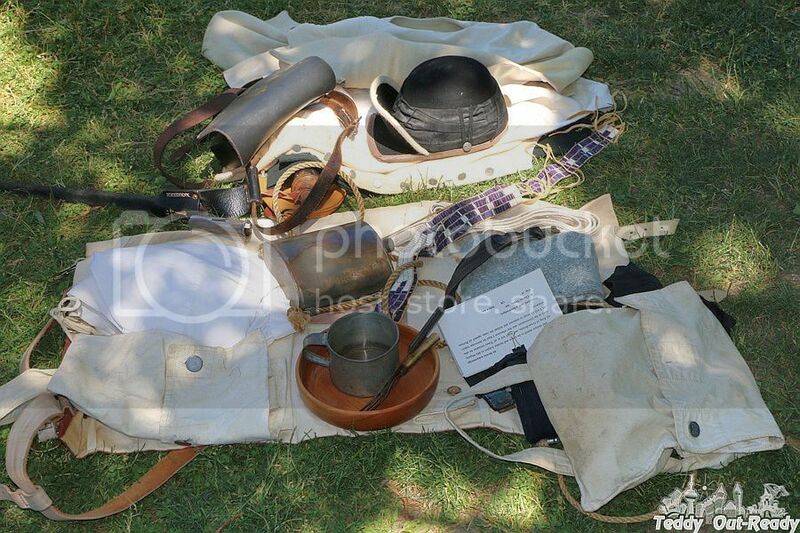 Everything that time was made by hand so to make a pair of shoes, a musket, a uniform, a medication and even a blanket required much time and resources. Medical care was not widely accessible, plus they did not have any antibiotics and many pain relievers to take care of wounded soldiers from the battlefields. We visited Doctor’s Tent on a battle field and saw how medical staff treated patients and performed a field surgery. There were lots of refugees looking for support and settlement. 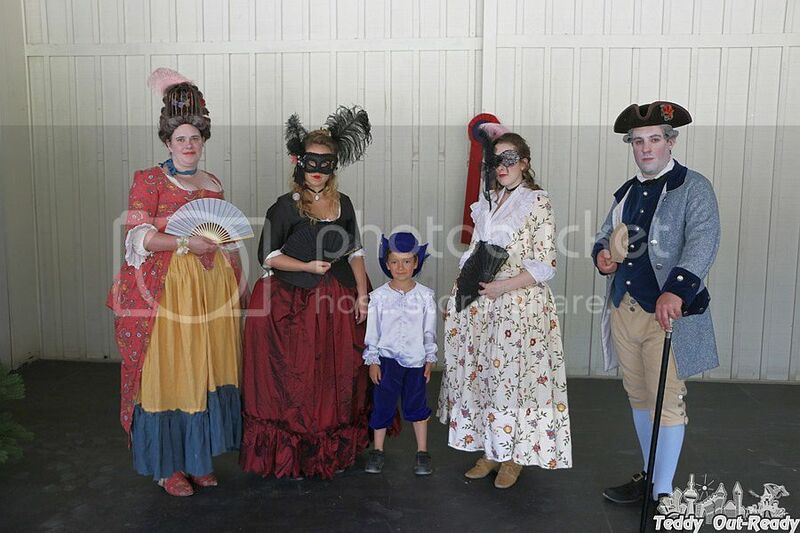 It was nice to join 18th century fashion show where we saw various outfits representing the occupation and social status. 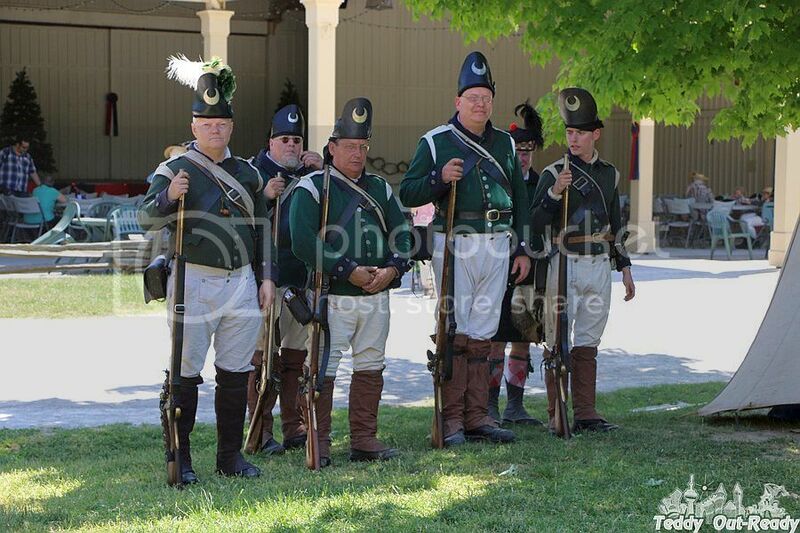 The clothes were influenced by surrounding military operations and represented practical purpose. The variety of colorful fabric was very limited and was available to only wealthy people who can afford them. In the afternoon we joined the Battle of the Black Creek. It was spectacular sequence of military actions across The Village, we followed 18th century soldiers representing different parties in this war for freedom. 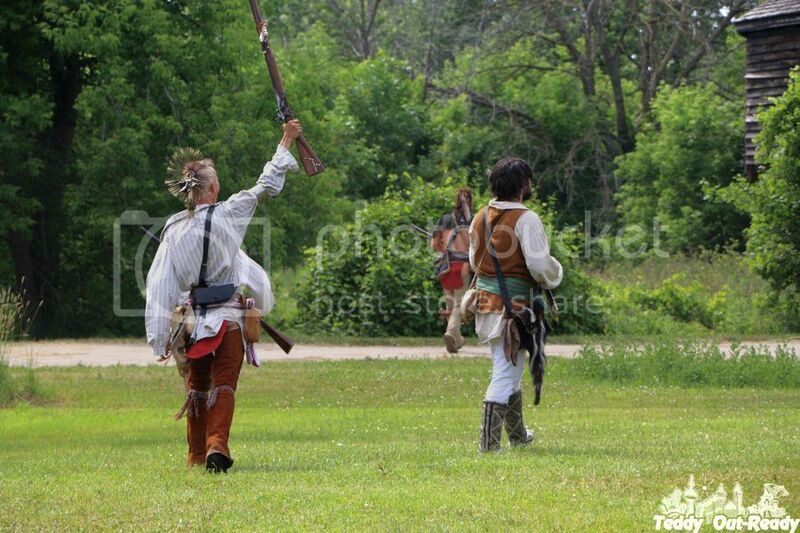 The participants of the Battle were wearing 18th century costumes, hair styles and camouflage. 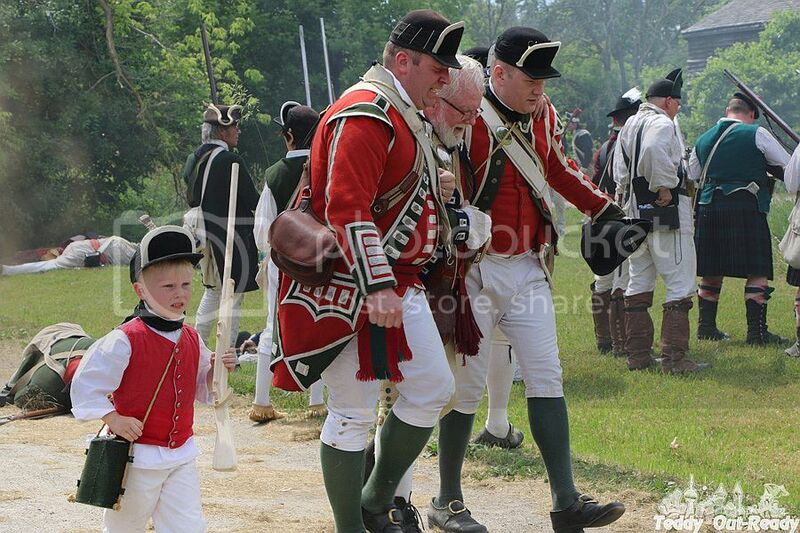 We saw Loyalists, Native Americans and Patriots participating in military actions along with women and young children helping them. 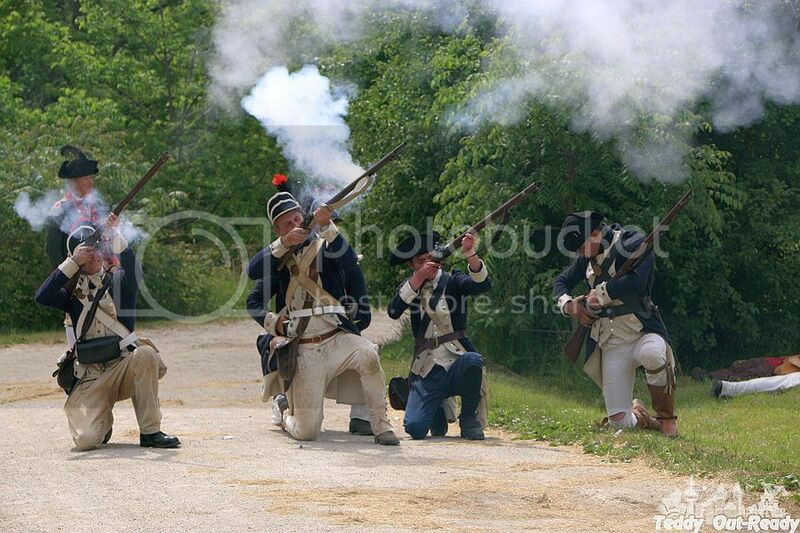 You were able to see soldiers fighting with each other, hear the sounds of firing muskets. The smoke, cry, commands, running soldiers, everything was on the Battle Field. We saw soldiers hiding in the forest, and a regiment setting military spot in the bushes, wounded soldiers (not real ones, do not worry) taken from the field. And finally, flags and drums to celebrate the victory. The whole battle scene was interpreted by a guide who told visitors stories, explanations and interesting facts from 18th century. 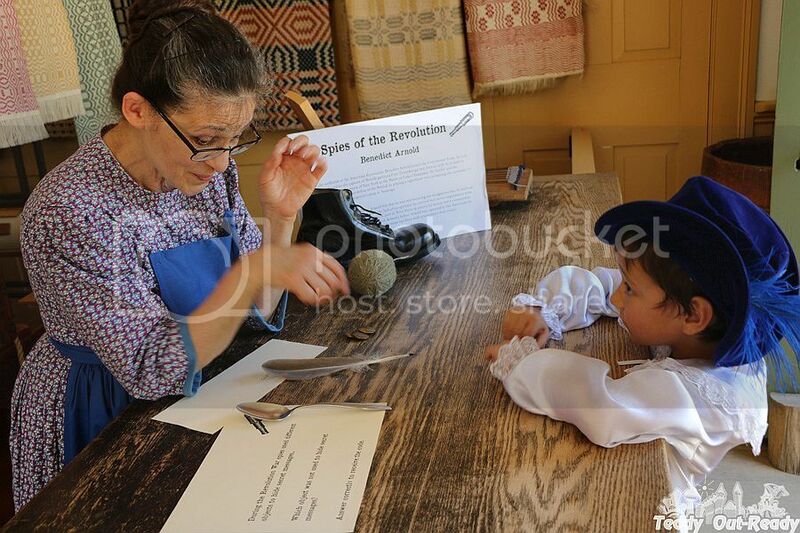 During the day the Village offered various activities for children and adults including Track the Yankee Spy to find clues across the settlement and de-code the message or check Cabinet Shop to learn about history of 1860. We spent a great day at the Black Creek Pioneer Village. It was perfect gift for Father’s Day and we learned many interesting things about history, military camps, soldiers and battles. 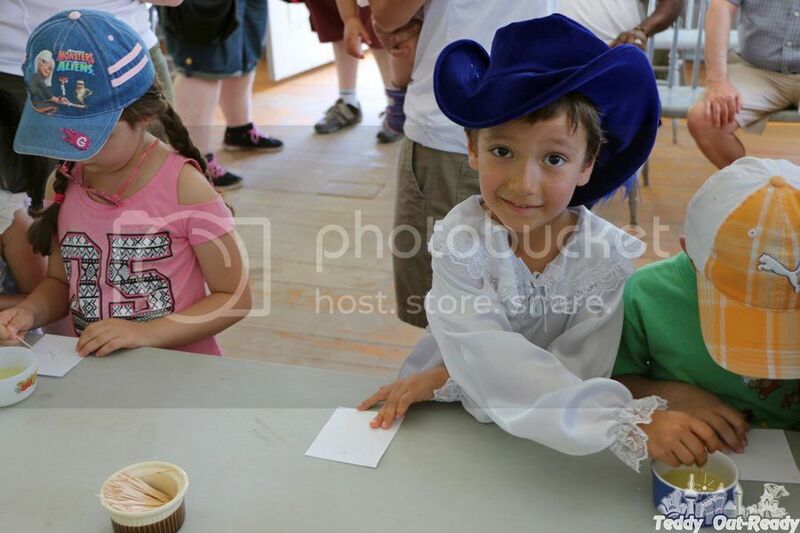 Teddy was dressed up as French musketeer and met French officer at the Village. 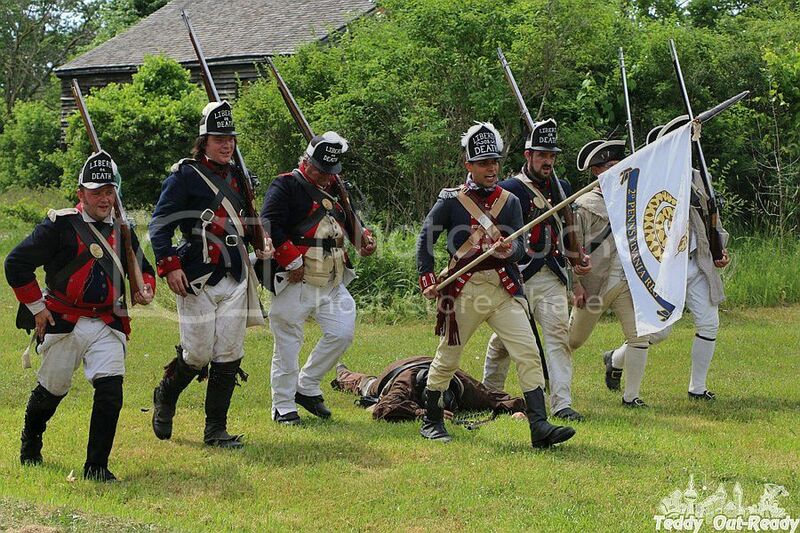 Though The Battle of Black Creek was held two days only, the Village hosts learning programs and special events that highlight local heritage and culture throughout the year. 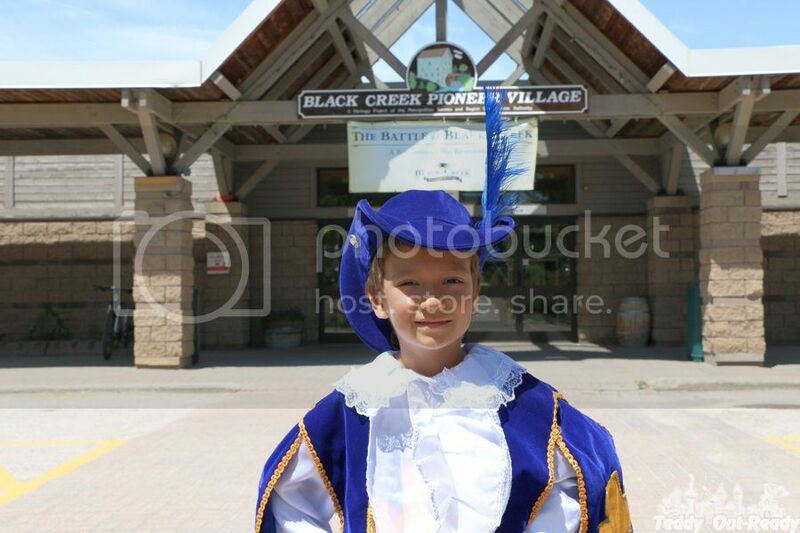 For more information, please check Black Creek 2016 Special Events Listings. 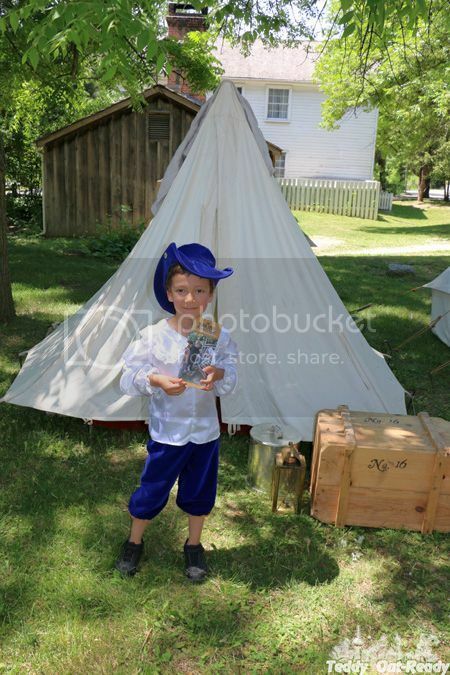 Admission to Black Creek Pioneer Village is $15 for adults; $12 for students and seniors; $11 for children (age 5 – 15); free for children 4 and under, and free for members. Memberships are available at the admissions desk. Parking is $7.